Dermot Daley introduces the Democratic Independent Neutral Secular Republic of Australia in answer to our sinking mate-ship and politics. THE CURRENT CROP of LNP and Labor politicians are a great disappointment. A panel of discerning voters could scarcely assemble a functional government from the best of both sides. There are certainly some exceptional performers, however, these are overshadowed by the vandals setting the agenda. The remaining members are remarkable only for their mediocrity and their willingness to surrender their individuality to the views of unelected backroom power brokers. There has been much said about poor Prime Minister Malcolm Turnbull being unable to pursue his values because the hard right has him in a nut-cracker. But this is not correct; Malcolm has got exactly what he desired in the prime ministership of Australia. His ambition now is to make it last as long as he can. The Liberal ideology contends there isn’t enough wealth to go around and hence a need to shore up the entitlements that are their birthright. That is as deep as it goes and, to achieve this end, they make things up and repeat them over and over until the numbed public believes them. Then there is poor Opposition Leader Bill Shorten who continually polls behind Malcolm as preferred PM. While his cadre fails to get it that Australians do not want a leader who approved the downfall of two prime ministers and who is so clearly indebted to so many. Labor ideology is traditionally to provide public health, education and fair wages and conditions for workers — and these are admirable values. But the Labor movement has failed to learn about spin and continually trips up in political manoeuvres. Neither Liberal nor Labor behaves as though there is a future. Neither has environmental intelligence, nor a strategy for managing the common wealth of our resources, nor a solution to the injustice to Indigenous peoples, nor foresight of Australia’s place in the Pacific region. They are only concerned with how they will go at the next election. The mateship is sinking. Two years ago, in Independent Australia, I proposed a new national anthem and accompanied it with a roadmap to the future, but that future is facing two converging events. Firstly, Australia is scheduled to hold a Federal election between August 2018 and May 2019. Secondly, Elizabeth II is old and Prince Phillip is older, and could die at any time. The passing of the royal consort will likely trigger the Queen to step down and Charles will become king. That roadmap is the Democratic Independent Neutral Secular Republic of Australia (DINSRA) and now might be a good time for the awakening of our dormant island nation. It would be great to see DINSRA realised, not as a political party to challenge Labor or the LNP, but as a grass-roots movement of uncorrupted forward-thinking individuals. Perhaps DINSRA can develop as a women’s initiative. Men have dominated the political arena in Australia and failed to achieve anything resembling America’s ‘Declaration of Independence’ or France’s ‘Liberty, Equality, Fraternity’. Admittedly, these were products of revolution, but perhaps change driven by women can be bloodless. Demos means people, but democracy has been thwarted to allow rule by corporations. Australia could challenge the U.S. Court ruling that defines a corporation is an individual. It shouldn’t be too hard. The corporation would be required to attend court in person — not the CEO, not the chair of the board, not a lawyer. That should soon clear it up. The conservative practice of repeating something ad nauseam has had people believe that capitalism means free enterprise and democracy. This is a lie. From the simple origins of a system of supply and demand, capitalism has become the haven of international corruption. Once democracy has been restored, Australia can readopt integrity. Australia can have different friends in different global suburbs and still retain our independence. We can do a barbeque at one place, stir fry at another, roast vegetables at a third and none of this need cause negativity with the others. Australia does not need special relationships or alliances to conduct itself fairly in the world. Australia must be, and be seen to be, truly independent in our relations with all other stakeholders in global well-being and security. Rushing into war is not in the nation’s best interest, as exemplified in the brutal WWI that killed more than 60,000 young Australian men at an important stage of growth for our nation. And, again, when we rushed into the illegal incursion into Iraq in 2003, causing resentment in many young Muslims and subsequently unleashed Islamic State upon the world. It is the informed Australian people who must decide when to fight and what to fight for. Excellent analysis as always from Jennifer Wilson. In the 21st Century, there are many diverse religions practised in Australia. If each was to be allowed the same incentives and concessions as Christianity through tax avoidance and public holidays for ritual, it would stealthily cripple the economy. The solution is that a secular Australia upholds no State religion, while observing the freedom where people can practice their personal faith with like-minded others within their community within their own time. It would be only on the condition they do not impose their beliefs and values upon others. It is plausible that Charles will become English monarch within a year. 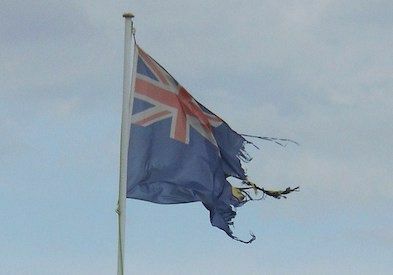 This creates a pragmatic moment for Australia to declare itself free of constitutional ties with England. It makes sense to have a contingency for this by drafting an Australian-made constitution to include a bill of rights that guarantees freedom of speech, recognises the relationship of the land for traditional Indigenous culture, and enshrines the principles of equality, fairness and democratic co-operation. We can also have that jaunty new anthem.